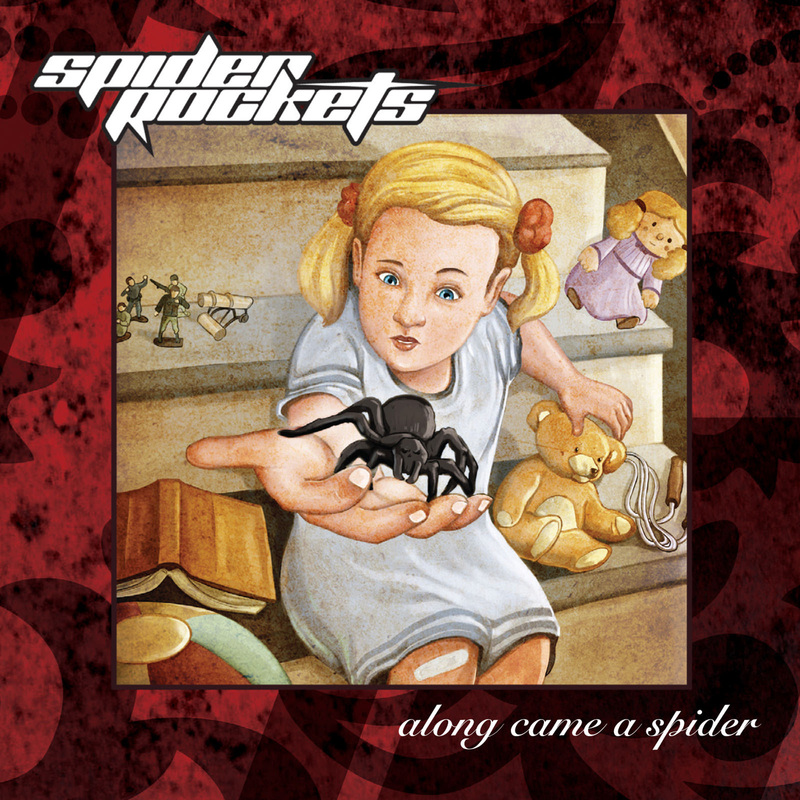 New Jersey’s Spider Rockets are set to release their fifth full-length album‘Along Came A Spider,’ January 26th via P-Dog Records. Today, the artwork and track listing have been revealed. Check out the lyric video for the first single entitled “Sick” HERE. The album will be available for pre-order next week! “We have always done things our way and ‘Along Came A Spider’ continues that tradition. It’s our own brand of rock that evolves, twists and turns regardless of what the current trend is generating,” says lead singer, Helena Cos.
Spider Rockets hit the studio for their fifth full-length release, this time with producer Dan Malsch (Framing Hanley, Tantric, and Doro). ‘Along Came A Spider’ takes the group’s songwriting philosophy one step further with lush production coupled with the group’s distinct brand of unapologetic in-your-face sound and attitude. Spider Rockets’ previous release, ‘Bitten,’ was named one of the Top 10 Hard Rock Albums of 2012 by MetalOdyssey.com. On rock radio cage matches, Spider Rockets triumphed over respectable heavy hitters like Five Finger Death Punch, Pennywise, Hellyeah, and others. Also, the group’s track, “Going Down,” became WWE darling, Charlotte Flair’s (daughter of the legendary Ric Flair), walk-out and victory theme song during her 2014 season. Spider Rockets has toured with Pop Evil, Trapt, and Saliva and has opened for the likes of Papa Roach, Steel Panther and others. The group has toured throughout the USA and has also performed in Europe. Lead singer, Helena Cos, and guitarist, Johnny Nap, originally started as a duo with an electronic rhythm section playing dive bars in New Jersey and New York City where they cranked out crowd favorites from AC/DC and Judas Priest to Guns n’ Roses and Metallica while testing the waters with original material.